I have travel a lot since twelve. During travel (it’s not travel like going out of Malaysia, having nice trip or food…it’s more like a journey…) I always keep my mouth silent, my ears, my eyes, my mind and my soul open. Why? Because by doing that you can observe the life. I only talk when I want and need to talk. That makes people thing I’m arrogant and mean. 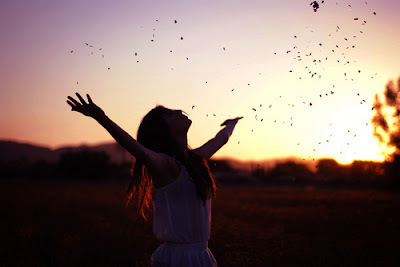 I do friendly…only with stranger that I know I never meet them again or after you know me at least one year. Or it can be short if you and I have same ‘chemistry’. From my observation and experience I always remind myself that I will never do like this or like that to other people if something bad happen to me. I will never let it happen in future. I will not! That my promise. I’m ambivert. 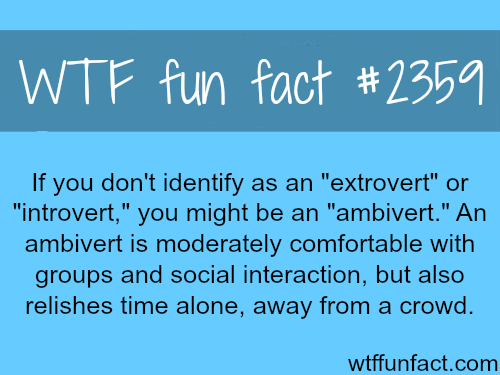 Do you know how ambivert person acts? If you don’t really know you can search them on Google. There a lot of information about ambivert. Some called it trouble identities, messy life because living in the middle of extro and intro and some just surprise with them. They do have a lot of surprise. You can’t read them. Maybe you and I can be on the same bearing and distance but different coordinates. Or at least we all do have a friends or member in this type. So, don’t let them ruined themselves. Why? Because ambivert sometimes can act like a master and in other time they also acts like a loser. So when life keep hit me harder, I will keep it as my momentum. I will put myself in those shoes. Maybe they have a reason by hitting me or maybe they can’t see people like me remaining silent. Because maybe silent killing them. Who knows? Beside, I will read an inspiration books, watch a war movie, listen to my favorite song and keep busying myself from remember those thing. For sure, I jot it down in my journal. If that doesn’t work, I will write it on a paper with full of emotional and burn it before flush in the toilet. Fuh!! !